Are Prescription Painkillers an NFL Sanctioned PED? Going into the final stretch of the 2016-2017 season, the NFL has imposed 44 fines or suspensions on players for violations of the league’s substance abuse or performance enhancing substance policies. Much of the substance abuse discipline is related to players’ use of marijuana, some for medical purposes as in the case of Bills OT Seantrel Henderson, who was suspended for using physician prescribed cannabis for symptomatic treatment of Crohn’s Disease, a gastrointestinal disease so painful that it renders many of its sufferers unable to walk. Cannabis is one of the few, and also most effective ways of treating this presently incurable disease. 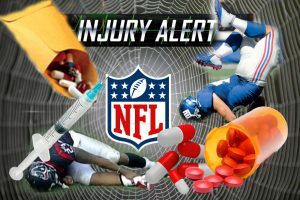 Other players who may use marijuana for pain management related to playing injuries are also subject to suspensions, should they be caught – regardless of whether or not marijuana use is legal in the state where they live. 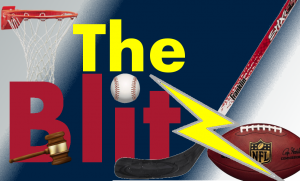 Numerous other players have faced fines and suspensions for ingesting performance enhancing drugs, several, allegedly by accident. Eagles RT Lane Johnson has filed a lawsuit against both the NFL and Players’ Association claiming in addition to a number of procedural violations that the Aegis app provided to players is not accurate and the union isn’t doing enough to protect players from accidental ingestion of banned substances. 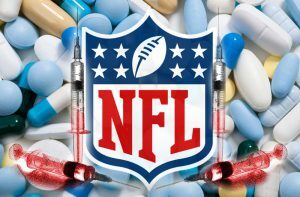 The one class of drugs the NFL does not appear to have a problem with is painkillers – both of the opioid and NSAID variety – yet these are allegedly used outside the boundaries of medical guidelines constituting imposed substance abuse for the sole purpose of enhancing players’ ability to perform and remain in the game. 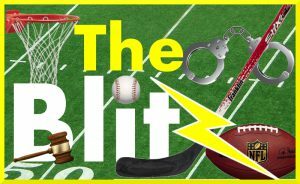 If statements made by dozens of former players and a handful of active players are true – and I see little if any reason for doubt, – then the NFL is engaged in a dangerous hypocrisy regarding drug use.